I have a spring in my step today. No, it’s not because it’s already Wednesday and only the second working day of my week, although that is rather nice. No, it’s because last night I ventured across Waterloo Bridge after work to attend the glitzy premier of Peaky Blinders, series 3. I’m not going to pretend I was invited; I wasn’t. In fact, I had to stand in a queue on my own for two hours for a slight chance that I might be able to buy a ticket if people from the guest list didn’t show up. As I fumbled across the bridge, taking in a view that I coined my favourite in London almost 11 years ago when I lived in Waterloo as a student, I pictured hoards of people who had been waiting since the morning. When I approached the front doors I took a deep breath and hoped for the best. To my surprise there were only 9 people in front of me. So I waited and was teased by the media circus going on around me – flashing cameras and cast snaking past the queue to make their way upstairs to get papped. It wasn’t until 5 minutes before the show started that I finally had a ticket in hand. When I departed England in 2014 to live in Australia, I left during the second series of Peaky Blinders. The first series had been enjoyed so much by me and my boyfriend at the time and the last time I watched an episode, I was sat in his flat that was meant to be our flat saying goodbye for the last time. It was a bittersweet evening and one that I wouldn’t wish to forget. The show symbolises a part of my life that was at that time falling apart quite catastrophically, so the emotional attachment I have to it caused an overwhelming sense of nostalgia as the first scene of series 3 reached a climax. By the time this post goes live, I am hoping all you fans will have seen it. I don’t want to spoil anything for you, but the first episode ties everything together from the last series very neatly and paves the way for a number of exciting plot lines to look forward to. Tommy and Grace marry, Arthur is sober, the family is still rough as a bunch of rusty nails, but the Shelby family is now rich beyond its wildest dreams and even deeper into corruption and illegal activities. The end of the evening culminated with a Q&A with three stars of the show, Cillian Murphy, Helen McCrory, Paul Anderson, plus Exec producer Caryn Mandabach and Exec Producer Steven Knight. Not only was it amazing to see and hear the actors out of character, but to hear them talk so passionately about their characters, the show’s history, it’s future and the real life stories and lesser known historical events that didn’t just inspire the show, but made it. Speaking of character development and Director Tim Mielant’s role in ensuring the cast keep each character fresh, Murphy said “It’s pretty easy after two series to be used to the character you’re playing, but Tim kept pushing us the whole time”. Anderson also had great things to say about Mielant, a Belgian Director that joined the crew for Series 3, proclaiming “Tim is a lunatic. That’s why I love him and that’s why we got on. A lot of the time he would suggest things and you would think ‘f**k’ because it was so far away from what you were thinking”. The Q&A ended with recollection of a great musical moment that will be remembered by all. The late David Bowie made contact with Murphy last year, which resulted in discussions about music from his new album featuring in the third series. Sadly, not long after confirmation, Bowie Passed away. “We all know what David did with his life and at the end of his life he wanted to do this, so obviously we are honoured to be able to use his music on this new series”, Knight said. 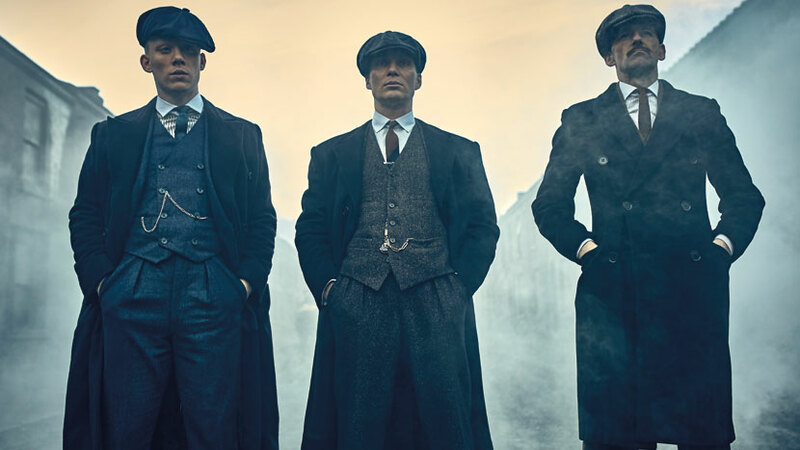 With rappers, rock legends, fellow actors and thousands of drama fans around the world, it’s no coincidence that Peaky Blinders is one of the best TV dramas of our time. I feel privileged to have been at the premier and cannot wait to be glued to my TV for the rest of the series. I love you, Peaky Blinders.